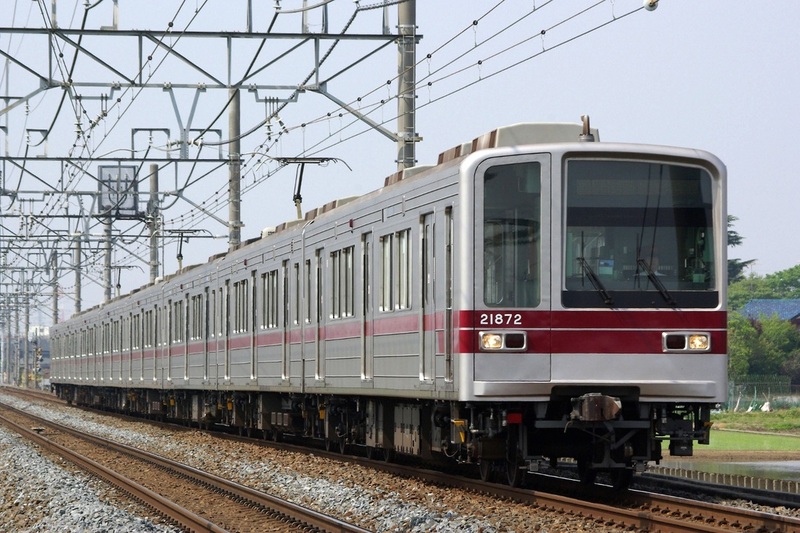 The 20000 Series is a three-door commuter-type electric multiple unit designed by Tobu to replace its fleet of older trains on the Isezaki Line with direct service through to the Hibiya Line. By the late 1980s, Tobu's rolling stock on the Isezaki Line/Hibiya Line service was begning to show its age. The 20000 Series was introduced to address this issue. The body is construced of lightweight-stainless steel and uses DC motors coupled with chopper control. The bogies incorporate a bolster-less design seen 10030 Series introduced around the same time. In 1992, a modified version known as the 20050 Series was introduced. These trains have two five-door cars at both ends to help deal with the crowds and also use AC motors coupled with variable frequency drive. Five-door cars were removed in the 20070 Series, a further modified version introduced in 1997. Pantographs were also switched from standard diamond shaped ones, to newer single-arm type ones. 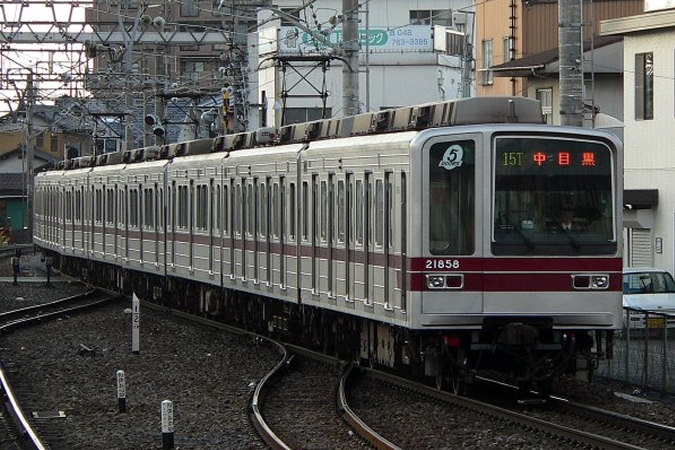 The 20000 Series and all of its variations operate only as far as Naka-meguro and do not continue on to the Tokyu Toyoko Line.